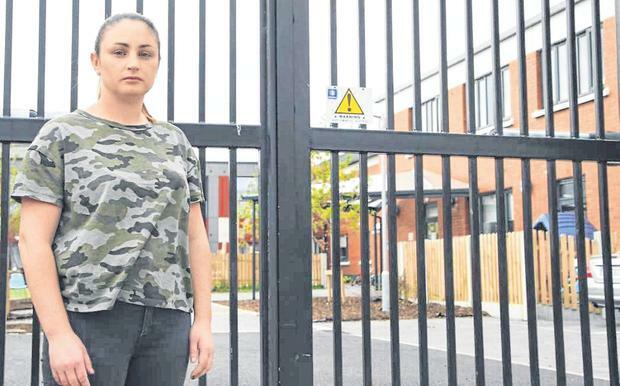 Increasing the funding for emergency accommodation is not solving the homeless crisis, but normalising it, according to a mother of two living in a family hub. Shauna McCallum (29) became homeless in September 2017 and has been living in a family hub with her daughter (9) and son (5) since December, despite being told it was a temporary three-month measure. Budget 2019 detailed that some €60m extra in capital funding would be allocated for emergency accommodation and family hubs. A further €30m is to be made available to the homeless services. However, Ms McCallum said that a much bigger emphasis needs to be put on rapidly building homes and getting families out of hubs. "It doesn't make any sense why they're putting money, money, money into emergency accommodation, where it's just not beneficial for families. "It's not liveable for long term. "The only thing that helps people in this crisis is houses to be built and rapidly built. "You can't just throw people into hubs and forget about them and think they're all right. "It's not somewhere for a long-term stay, and I'm here since last December." She said that she is in a room with her two children in a building of 25 families. "You're constantly on top of each other." The mother of two said that the mental health of her children is deteriorating rapidly living in the hub, and that the space isn't there for them. "It's hard, the change in their personality and behaviour, it's not changing for the good," she said.